The need of a USB drive can never be replaced, no matter how large capacity hard drive you are using. These are the most convenient and popular way to transfer data from one device to another. Therefore, the proper working of USB devices and connecting ports is very important. At times, Windows 8 / 8.1 users might face the connectivity issues of USB drives, as this OS can deactivate USB ports in certain conditions. Below question is asked in a popular community that describes how severe this problem is, when PC occurs to someone. Recently, I have upgraded my PC to Windows 8.1 and one day suddenly all my USB ports stopped working. It was really a bad experience, no USB device was recognized by my PC or if they show up, became idle after a few seconds of inactivity. I was carrying very important data in my USB drive and not able to complete my work due to this issue. Therefore, it has become a necessity for me to figure it out. In case you are also facing the same issue, I would suggest you to check your USB drive first by connecting it to different computers. Because, at times, your USB drives may also have their own hardware issues due to which they do not connect to any USB port or their connectivity become very loose. 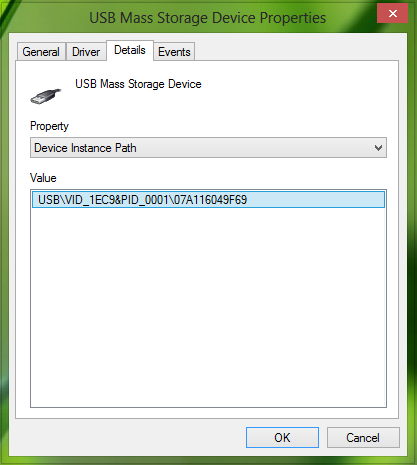 It may also possible that your USB drive itself is either corrupt or damaged and prevent to access the stored content. We’d recommend to use any popular USB Drive Recovery Software if you are looking for ways to get your files back. However, If your USB is working fine on different computer but not in yours, then you can follow the below mentioned steps to resolve this problem. 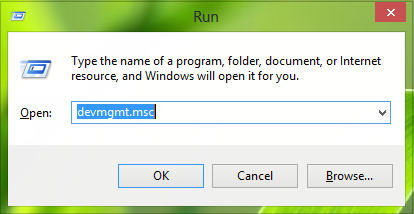 Press Windows Key + R, a Run dialog box will open, type devmgmt.msc in the text box and press enter, it will open the Device Manager. 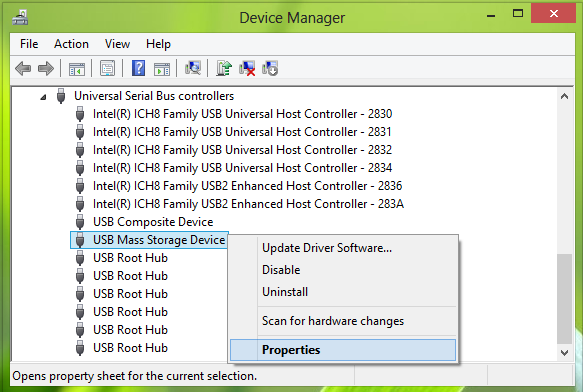 Now in the Device Manager window, search for your USB device, which was creating issues. It may be listed under Human Interface Devices as USB Input Device. In case you did not find it there, expand Universal Serial Bus controllers. It will show you a list of all the USB devices you have connected to your system so far. Keep the device plugged in and right click on this selection, choose Properties. 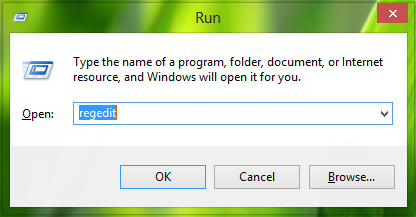 Now, Press Windows Key + R in the keyboard, and type regedit in Run dialog box and press Enter key to open the Registry Editor. 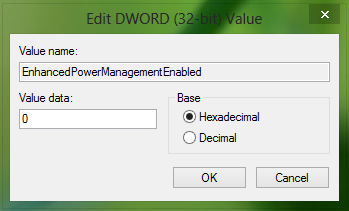 In Device Parameters key go to the right pane, search for the DWORD named EnhancedPowerManagementEnabled, its Value data is set as 1. Double click on this entry. You will see a dialog box, here change the Value data from 1 to 0. Click OK. Now, close the Registry Editor and Device Manager. Note: Never modify the Registry incorrectly, as it may create a serious problem. Therefore, always follow all the above mentioned steps carefully. Additionally, you can back up the registry before you modify it for protection and if any wrong modification takes place, you can simply restore the registry to resolve the problem. In case, after following all the above mentioned steps your USB port is still not identifying USB drives, then you need to simply reset your system or laptop using Windows 8 / 8.1 refresh or reset functionality. System Reset feature actually does a fresh installation of Windows from the start, and returns your computer or laptop to its factory settings. It is similar to a reformatting or re-installing Windows OS onto your computer. This process takes over 40 minutes, if you are using an average-speed PC. Therefore, Reset should be considered as the last option, as it removes everything on your system. You can take backup to save your data, before you apply Reset to your computer as doing reset will permanently erase all your files and folders.